Miss Chloe gets her face painted after the egg hunt. 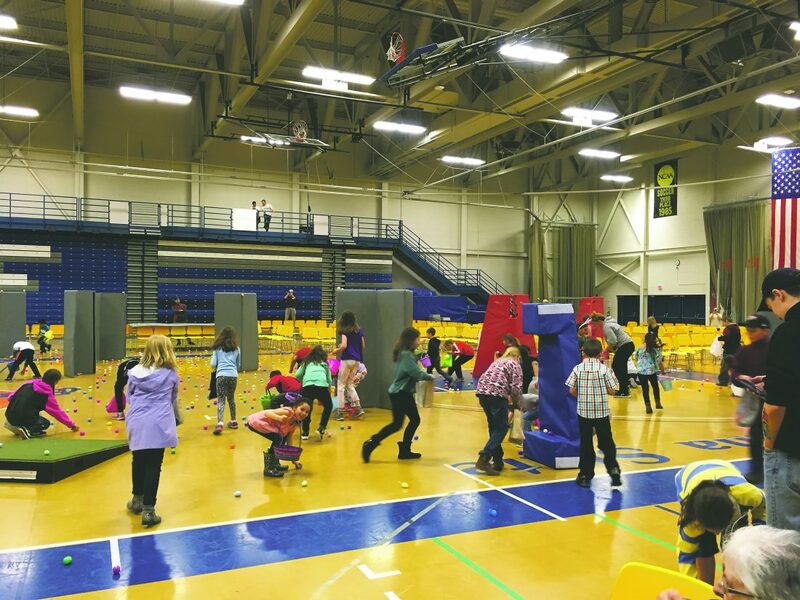 All of Steele Hall was pure excitement and glee at the 9th Annual Spring Egg Hunt at SUNY Fredonia on Sunday. 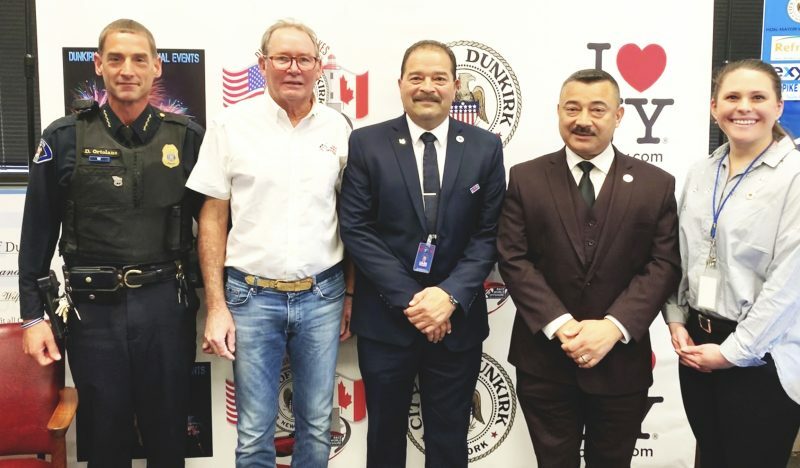 Initially planned to be held on President Virginia Horvath’s lawn, the hunt was moved indoors because of the weather forecast. Though it was raining outside, the whole room felt sunny with the brightly colored eggs, Easter grass and eager faces throughout. 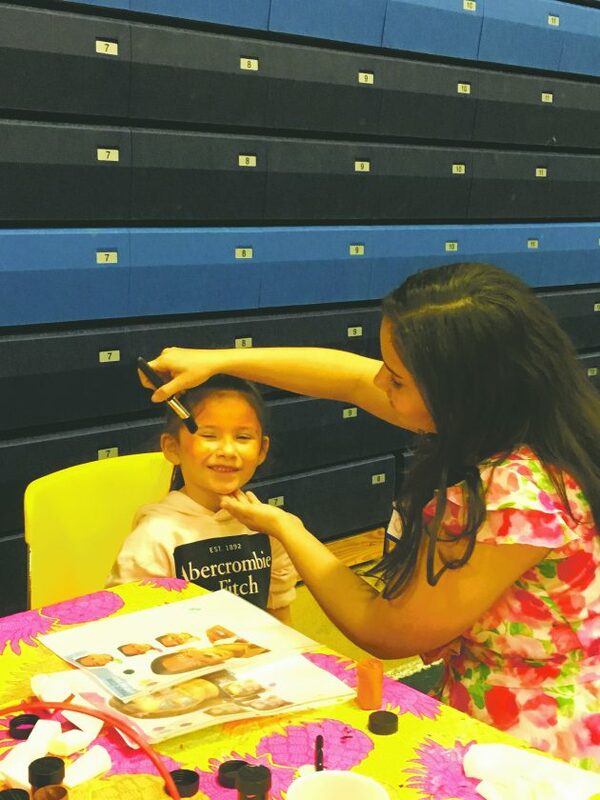 The event began at 1 p.m. with crafts and a face-painting booth, as well as an appearance by the one and only Easter Bunny. 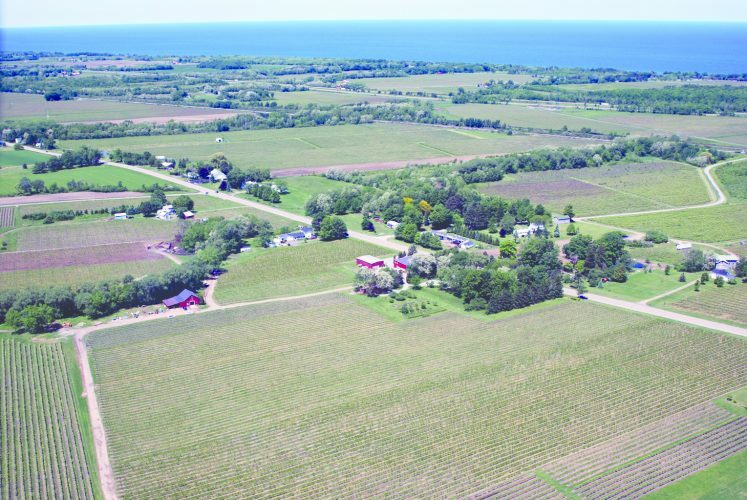 The highlight of the day, the egg hunt, began at 2 p.m. sharp, with two separate hunting grounds for the age groups of two to five and six to ten, searching for special eggs containing prizes. Many local children could be seen running into the field of eggs with tiger and rabbit whiskers across their smiling faces, grabbing at the rainbow of eggs beneath their feet. The event is organized by SUNY Fredonia fraternity Kappa Sigma, led by their Community Service Chair Cameron Flynn. The OBSERVER interviewed Flynn at the event, following his and President Horvath’s countdown to the Egg Hunt. A child high-fives the Easter Bunny at the 9th Annual Spring Egg Hunt in Steele Hall at SUNY Fredonia. The Egg Hunt has become a village favorite for local children thanks to the dedication from Coordinator of Volunteer and Community Services, Joyce Smith, and community volunteers Michelle Twichell and Beverly Bennett. OBSERVER Photos by J.M. Lesinski. 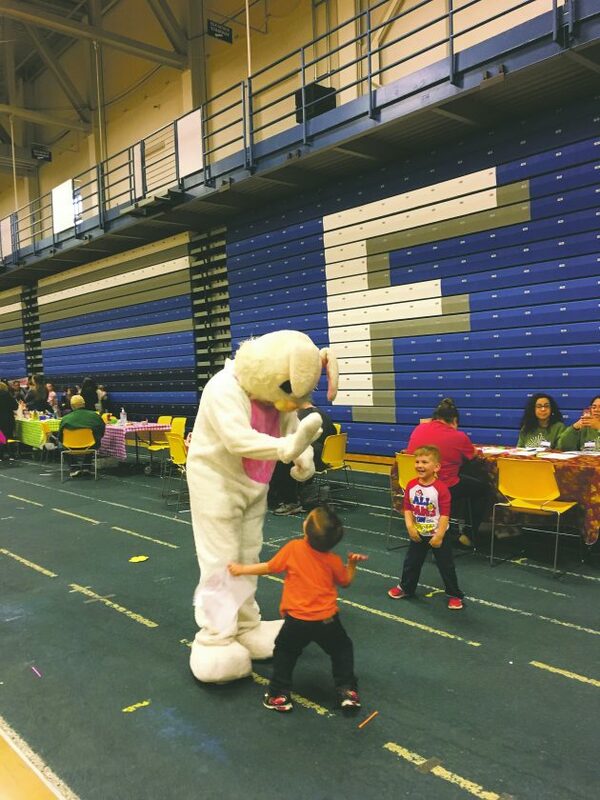 Moments after the egg hunt began, local children scampered across the basketball court in Steele Hall, grabbing at eggs to find the special ones containing prizes.